Play Bingo at The Round Table! 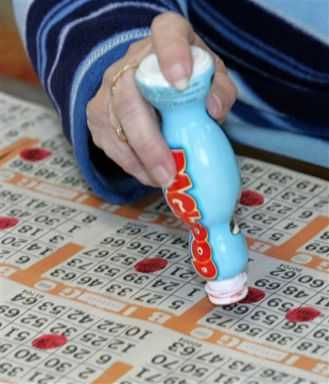 NEW HOUSE POLICY: "No Bingo Sheets may be cut to accomodate 2 or more players. All Bingo Sheet Purchases must be played as purchased." This Game cost only $1.00 per card. The game is just as it sounds, we call the numbers as fast as we can without the letter!! Be on your toes for this game!!! Bring a Friend and Come on out and Play. Bar is open! 2 - 8 Game Sets with Game 8 and Game 16 being Larger Payouts**!! Come on out. Food, Fun, Cash Raffle (supporting our scholarships and more) and Bingo! NEW! Nachos! Try them out!! Hamburgers, Cheeseburgers, BBQ (in season), Chicken Tenders, Ham & Cheese Sandwiches, Shrimp, Toasted Cheese Sandwiches, Cheese Curds, French Fries, Onion Rings, Soup or Chili (in season), Funnel Cake Pieces, Pretzel Bites/Cheese sauce, and Fresh Popped Popcorn! Page Summary: The Round Table offers bingo, bingo games, play bingo, bingo hall, bingo for money, bingo fun, jackpot bingo, bingo cash prizes, bingo offers, local bingo halls in Madison, Sun Prairie, De Forest, Columbus, Waunakee, Cottage Grove, Stoughton, Marshall, Windsor, Middleton and surrounding Dane County communities.